Reliable control of assistive devices through surface electromyography (sEMG) based human-machine interfaces (HMIs) requires accurate classification of multi-channel sEMG. The design of effective pattern classification methods is one of the main challenges for sEMG-based HMIs. In this paper, the authors compared comprehensively the performance of different linear and nonlinear classifiers for the pattern classification of sEMG with respect to three pairs of upper-limb motions (i.e., hand close vs. hand open, wrist flexion vs. wrist extension, and forearm pronation vs. forearm supination). A feature selection approach based on information gain was also performed to reduce the muscle channels. Overall, the results showed that the linear classifiers produce slightly better classification performance, with or without the muscle channel selection. Surface electromyography (sEMG) based human-machine interfaces (HMIs) classify different voluntary-contraction-related muscle activity patterns, based on the signals from electrodes on the skin over the measured muscle, and associate one pattern to one desired function of a given device. sEMG-based HMIs become increasingly popular for wearable devices in fields of entertainment, motor function restoration with active prostheses and others (Hakonen et al. 2015). As a result, sEMG-based HMIs attract a lot of attention in several related research areas including human-machine interface, pattern classification, and etc. For example, recently a variety of algorithms were proposed for discriminating limb motions in sEMG recordings. Currently, one of the main challenges for sEMG-based HMIs is to find an effective and efficient pattern classification method for multi-channel sEMG. 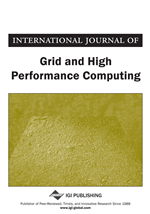 The framework for sEMG-based HMIs consists of three sequential processing components: filtering, feature extraction, and classification (Ortiz-Catalan et al. 2013). In recent years, several extensive surveys and comparison studies on these processing components have been published (Tsai et al. 2015; Phinyomark et al. 2009; Phinyomark et al. 2012; Phinyomark et al. 2013; Phinyomark et al. 2014). Phinyomard et al introduced a novel feature extraction method comparing 18 feature extraction methods in the time and frequency domains (Phinyomark et al. 2013). Another study recommended the feature selection step for successful sEMG pattern recognition (Talebinejad et al. 2009). It is difficult for the time-domain-based signal analysis to recognize muscle contraction control degree between different individuals. The noise interference also makes the hardware of HMI system unstable. Therefore, the classifier should be re-trained when it is used by different individuals. In contrast to the limitations of the time-domain-based signal analysis, the frequency-domain-based signal analysis has been shown to be effective at reducing individual differences (Talebinejad et al. 2009; Weiss et al. 2011; Li et al. 2014). Several studies have been performed to compare the linear and nonlinear classifiers with electroencephalograph (EEG) (Wang, 2009) or sEMG (Ortiz-Catalan et al. 2013). However, the types of classifiers in these studies are limited and do not perform well with feature/muscle channel selection. It is, therefore, unclear whether the better performance of the different classifier types is due to the feature/muscle channel selection. In this paper, we use the power spectrum method (PSM) (Al-Akaidi, 2004; Turner et al. 1998) to transform signals of limb motions from time to frequency domains. Based on the power spectral features, we conducted a comprehensive comparison of multiple types of linear and nonlinear classifiers with and without the muscle channel selection, providing a practical guideline to choose an appropriate algorithm for identification of real limb motions.